How would you like to learn to drive and get your driving licence quickly and safely with Mikes driving school. You can do this in a 1 week intensive or semi-intensive driving course, or by just taking weekly lessons. Let me explain why this is the right driving school for you. As a “Grade A” driving instructor based in Falmouth Cornwall I have the enthusiasm, passion and enjoy the whole process of taking my pupils right through to succesfuly passing their driving test, my aim is to make your driving lessons fun. You will be learning to drive with a fully qualified driving instructor with over fifteen years experience and a high first time pass rate. Using the latest technology and teaching techniques and my commitment to you, I can get the results you need to pass your test and to help you achieve this I will also provide you with your very own FREE drivers manual. If it’s a weeks intensive or semi-intensive driving course you want or just weekly lessons you can be assured of my reliability, patience and professionalism at all times. 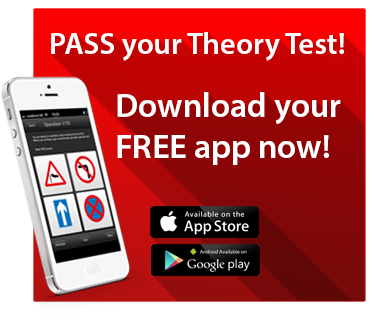 You’ll be given a Free app to help you through your theory test. This is the only app that matches the current DVSA exam format; no other apps (including the DVSA’s own app!) do this. I cover Falmouth, Penryn, which includes the surrounding areas for the test centres in Cornwall. Book now for your first driving lesson and learn to drive with Mike’s Driving School Falmouth Cornwall and make your 1st test your last!